The sinking trust of average Nepalis in the political leadership, as shown by the Himalmedia Public Opinion Poll 2015, is neither a surprise nor a mystery. It is just yet another manifestation of the serious mismatch between the obsession of politician and the people's priorities. The political parties have spent the decade after the 2006 Democracy Movement that brought an end to the war wrangling over the new constitution. The main disagreements were over federalism, governance, secularism, elections and the judiciary. But the people don’t seem to care much about the constitution, they are more concerned about inflation, unemployment and corruption. Asked what was the country’s three top problems, inflation (66%), unemployment (54.5) and corruption (48.4%) ranked on top. Only a third of the over 3500 respondents in 35 districts polled earlier this month considered the delay in passing a new constitution as a pressing problem. There is disinterest bordering on apathy about the constitution whatever the age group, gender, domicile, or literacy level of the respondents. This is backed up by the answer to another question in which 76.8% said they hadn’t bothered to give feedback to the draft constitution during the public consultation process. Most Nepalis seem convinced that inflation and corruption is worse than before, and that the government is not capable of tackling them. An overwhelming majority of 92% people feel inflation is rising and 76.6% respondents say corruption is now worse than before. But 64% people say the Sushil Koirala government is either as bad as the previous government or even worse. Before he became Prime Minister, Koirala struck a deal to step down in favour of the UML’s KP Oli immediately after the new constitution was passed. This is why the political parties struck a deal on 8 June to pass the constitution and form a new national unity government. But the people don’t seem impressed, and see it all as the usual power game. The people also see a direct correlation between development and delivery of services with holding local elections. Nearly 70% of the respondents said they wanted VDC, DDC and municipality elections right away. The people seem smart enough to know that local elections will go a long way to meet their need for better accountability, transparency and governance, but politicians have dilly-dallied and local bodies have been without elected officials now for nearly two decades. In answer to another question, most respondents blamed the delay in local elections on the petty interests of political parties, and not because the delays in the constitution. More than 41% of respondents said the parties were afraid of losing control over the all-party mechanisms that have become cartels for wholesale loot and plunder of local resources. By neglecting the economy and governance, the political leadership seems to have alienated the people. More than 63% respondents said they knew about the draft constitution through the media, and not from the local politicians. 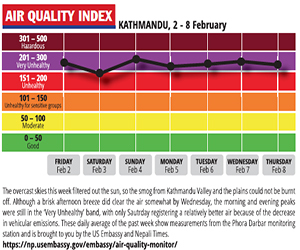 This proves that the political leadership is more active in Kathmandu and haven’t bothered to go to their constituents. The results of the Himalmedia Nationwide Public Opinion Survey 2015 also comes as a wake-up call for the parties to correct their course, rebuild relations with the people and focus on better governance so as to address the economic and development problems of Nepalis. Widespread coverage of protests in favour of citizenship in the name of mothers seems to have had an impact on public opinion. More than half of all respondents (55.7%) in the nationwide Himalmedia Poll considered the clause in the draft discriminatory. Equal numbers of men and women said citizenship should be issued either through father or mother's name. Percentage of respondents supporting this clause is higher in the mountains than in the hills and the Tarai. Only 27.1% respondents said father and mother should be Nepali citizens for their children to get Nepali citizenship. When the Himalmedia survey was underway, citizenship provisions in the draft that activists labeled 'regressive' had not yet been revised. On 8 August, the four political parties inked a fresh deal to revise citizenship provisions. 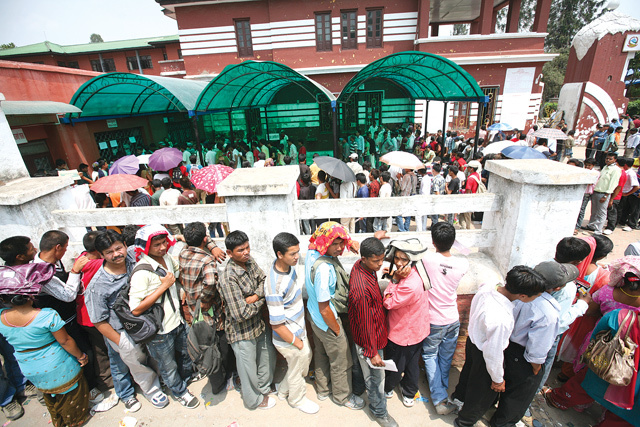 The provisions say either father or mother should be Nepali citizen for their children to get Nepali citizenship. 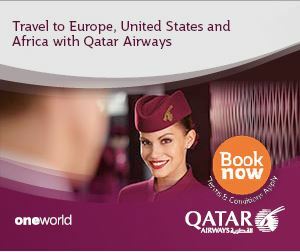 But rights groups are still not satisfied and say the revised version has many loopholes. A child born to a Nepali mother and foreigner father can get Nepali citizenship by descent but their father should have acquired naturalised citizenship. 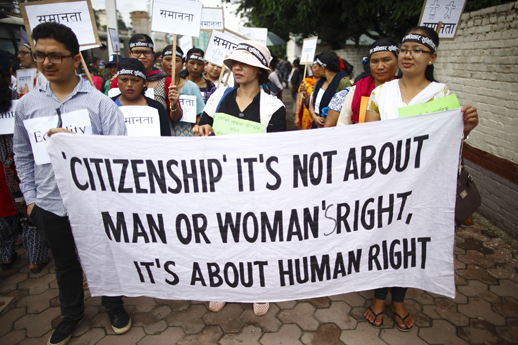 If a foreigner father married to Nepali mother does not forego his original citizenship and does not possess Nepali naturalised citizenship, their children can claim just naturalised citizenship. But even for that, he has to produce evidence that he has not acquired citizenship of the country where his father is from.